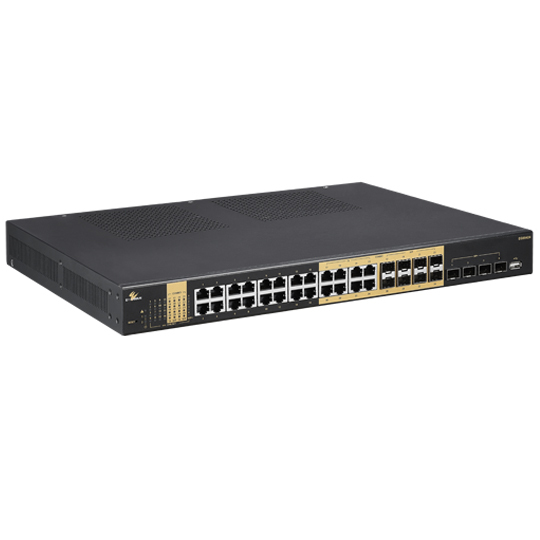 EtherWAN's EG99000 is a gigabit Layer 3 switch designed for high bandwidth uplink or interconnection. 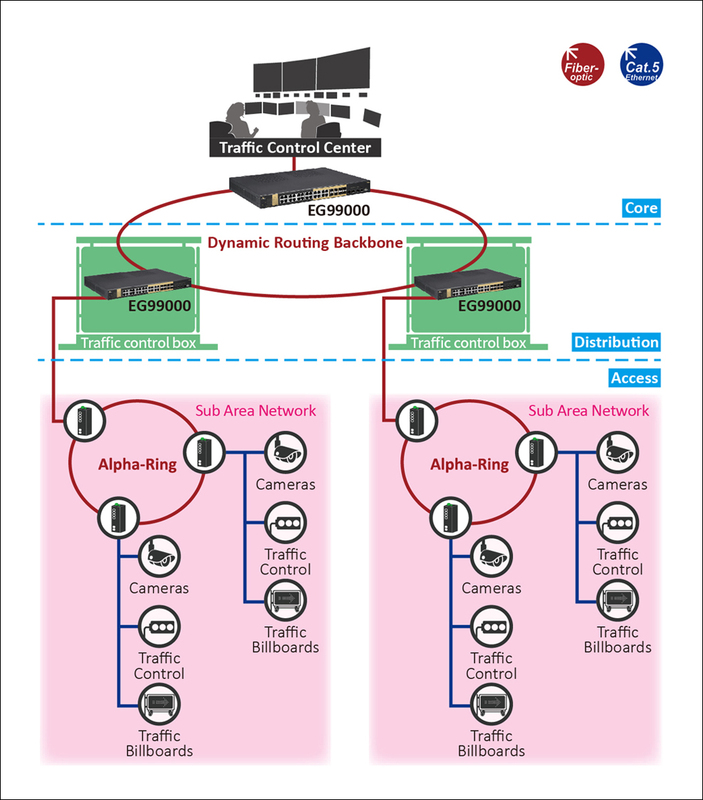 In addition to full wire-speed Layer 2 switching capability and support for a robust set of Layer 2 features, it is capable of Layer 3 IP routing and switching across VLANs and subnetworks with no compromise in performance. 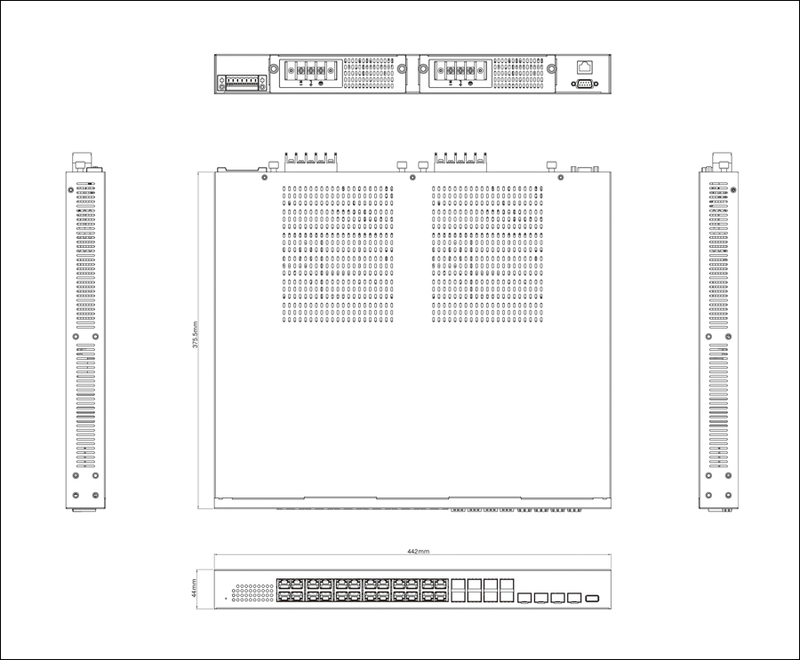 The EG99000 supports comprehensive internetwork IP routings that can operate simultaneously with redistributions to each other and route control tools, including IP prefix-list and route-map. With its hardened specifications, the EG99000 provides high reliability and nonstop operation in harsh environments, and can operate stably in temperatures from -40 to 75°C (-40 to 167°F), as well as in areas with high electromagnetic interference (EMI). 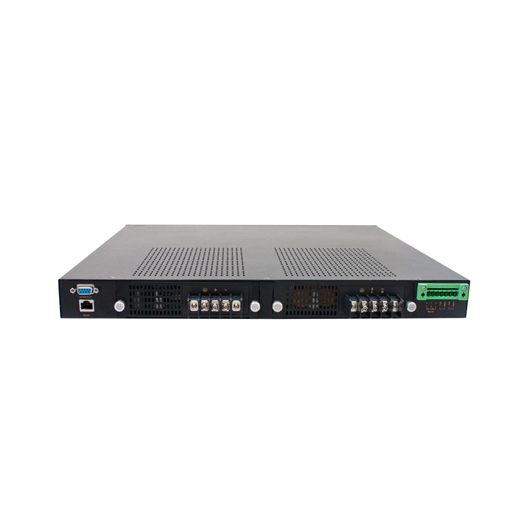 The EG99000 is also equipped with sophisticated network and system failure recovery features including VRRP and dual redundant power supplies. This makes it an ideal choice for both industrial and mission critical applications where sustained connectivity is crucial. • +13 to +30V for state "1"
• 0 to +3V for state "0"
* Rack mounting kit included.